Like all professional security systems the Honeywell Vista 20P has tons of programming options. The following guide has been prepared with the assumption that you're installing a new (or returned to factory defaults) Vista 20P. Only the settings that need to be changed from their factory settings are addressed, but if you're paying attention to the programming process you can quickly learn the basics of Honeywell programming that will allow you to make custom changes to any and all areas of your Honeywell Vista 20P Security System. The first thing to know about programming a Honeywell system is that you need a keypad with a custom alpha display to allow for menu programming. The V20P60RFPK kit at Amazon includes a 6160RF keypad that has the required custom alpha display along with an internal wireless receiver for communication with wireless devices. The less expensive 6160 keypad is the same model minus the wireless receiver. Either can be used to program your Honeywell System. Your instructions are for a Vista 20P, but can they be used for a Vista 15P as well? The programming of a Vista 15P and Vista 20P are almost identical. The Vista 20P is capable of having two partitions, so some programming options require a duplicate setting to be made for the second partition. The Vista 15P is only capable of having one partition, so the settings affecting partition two (or the selection of partitions) do not apply. That being said, if you understand the programming of a Vista 20P, then you understand the programming of a Vista 15P, so the above tutorials will be helpful to you. The kit I bought doesn't have a custom alpha keypad, can I use a fixed alpha keypad to program my system? I have too many doors to protect all of them, and I'm only interested in arming the system when I'm not home, are there any tricks to keep my cost to a minimum while still protecting my home while I'm away? The neat thing about setting up your own system is that you can program doors to act like motion detectors, or program motion detectors to act like doors. 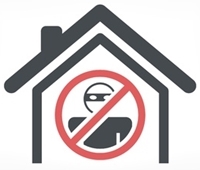 Most homes only have a couple of locations where an intruder is likely to break-in. 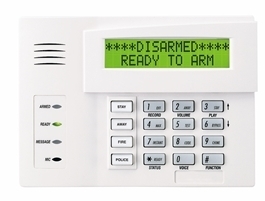 An apartment or condo is likely to only have one area where an intruder is likely to break-in. Put simply, you may be able to get away with purchasing just one or two motion detectors while still being amply protected. Any motion detector that you'd have to walk past while entering or exiting your home you'd program as zone type 10 "Interior with Delay". Any motion detectors in isolated areas you'd program like a standard motion detector, that being zone type 04 "Interior".